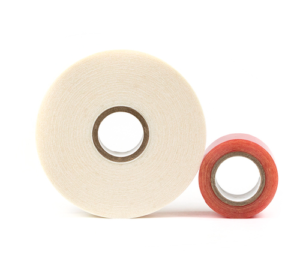 We are able to convert tape rolls to custom lengths to fit your needs. You may need different length options to give your customers a choice of how much tape they’re purchasing. Or, you may need a specific length to make your manufacturing process run more smoothly. No matter what your specific needs are, we can convert tape to fit your needs; whether it be a few inches or many yards. Some common lengths for rolls are 3 yard, 12 yard and 32 yard.